Make sure your resume hits all the right marks. Move your resume to the top of the stack with these tips. Six seconds—that’s how much time a recruiter will typically spend on a resume review before deciding whether to put it in the “yes” or “no” stack. That’s a lot of pressure to put on a single piece of paper that basically determines if you’re going to move forward in the job search process. So, to put it simply, you want your resume to be as perfect as humanly possible. 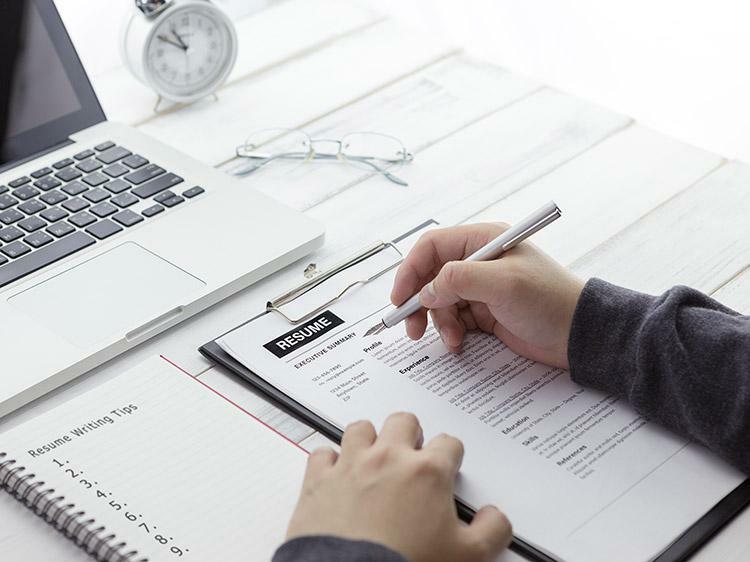 Luckily, Monster has all sorts of resources to help ensure your resume not only gets you considered, but also moves you to the top of the stack. But we also recommend reviewing your resume yourself—and getting at least one other pair of eyes—to make sure your final product is good to go. Does the resume look original and not based on a template? Is the resume inviting to read, with clear sections and ample white space? Does the design look professional rather than like a simple typing job? Is a career summary included so the reader immediately knows your value proposition? Is the resume's length and overall appearance appropriate given your career level and summary? Does the resume provide a visually pleasing, polished presentation? Is the font appropriate for the career level and industry? Are there design elements (bullets, bolding, and lines) to guide readers' eyes through the document and highlight important content? Are margins even on all sides? Are design elements like spacing and font size used consistently throughout the document? If the resume is longer than a page, does the second page contain a heading? Is the page break formatted correctly? Are all resume sections clearly labeled? Are sections placed in the best order to highlight your strongest credentials? Is your work history listed in reverse chronological order (most recent job first)? Is the resume targeted to a specific career goal, as opposed to a one-size-fits-all document? If this is a resume for a career change, does it include supporting details that show how your past experience is relevant to the new job? Does the resume include a solid listing of your career accomplishments? Are accomplishments quantified by using numbers, percentages, dollar amounts, or other concrete measures of success? Do accomplishment statements begin with strong, varied action verbs? Are your accomplishments separated from your responsibilities? Is the information relevant to hiring managers' needs? Does your resume's content support your career summary? Did you include keywords, appropriate buzzwords, and industry acronyms? Is applicable, additional information (awards and affiliations) included, and is personal information unrelated to the job (marital status, age, nationality) omitted? Did you avoid writing the resume in an implied first-person voice with personal pronouns (I, me, and my)? Is the content flow logical and easy to understand? Is the resume as perfect as possible, with no careless typos or spelling, grammar, or syntax errors? As you can see, a polished, professional resume has to hit a lot of marks—and that can feel overwhelming. Need some help? Get a free resume evaluation today from the experts at Monster's Resume Writing Service. You'll get detailed feedback in two business days, including a review of your resume's appearance and content, and a prediction of a recruiter's first impression. Check it off your list and get on with your day.